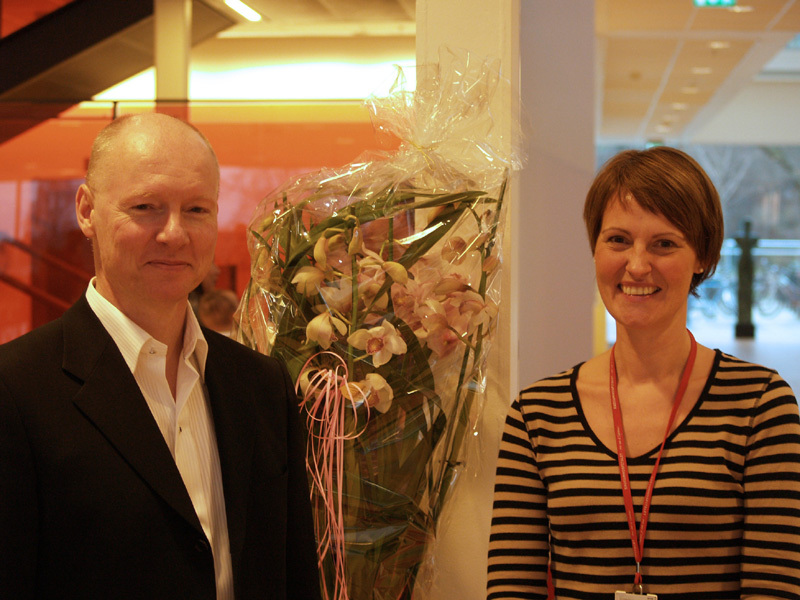 In a recent paper in Nature (journal impact factor 42), project leader Camilla Raiborg and her co-workers in Harald Stenmark´s group at Institute for Cancer Research and Centre for Cancer Biomedicine show an unexpected connection between endosomes (organelles involved in protein import into cells) and the endoplasmic reticulum (ER, organelle involved in protein export) in formation of cellular protrusions. 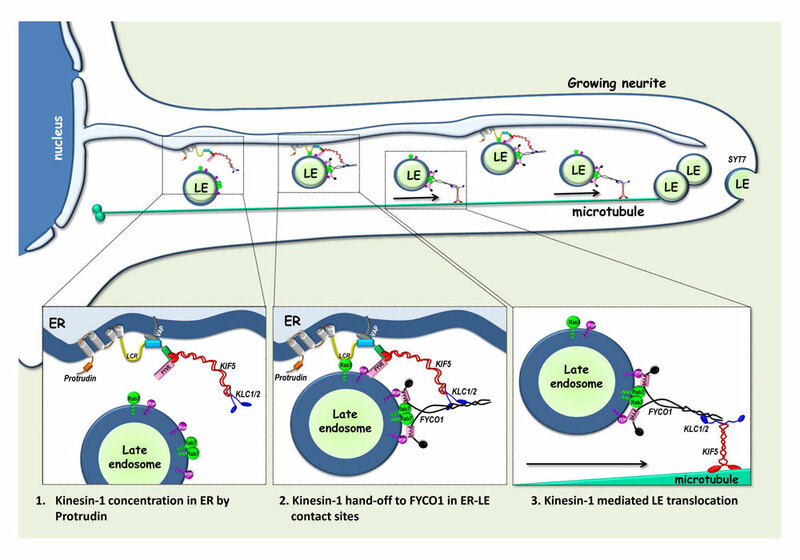 EMBO journal has already published a commentary article about the findings, entitled "A grab to move on: ERendosome contacts in membrane protrusion formation and neurite outgrowth". The well visited Norwegian popular science website forskning.no has also published an article about the findings, entitled "The secrets of neurone protrusion formation revealed". The authors find that a protein called Protrudin forms contact sites between ER and endosomes, and when such sites are formed, the endosomes are loaded with a motor that makes them migrate from the cell centre to the cell periphery. Here, they fuse with the cell membrane, and this induces formation of cellular protrusions. What is the importance of cellular protrusions? In this paper we show that the mechanism we have identified promotes the outgrowth of neurites - precursors of nerve fibers - in nerve cells. This is interesting because mutations in Protrudin and its interacting proteins are associated with hereditary spastic paraplegias, a group of neurodegenerative diseases. Our findings could shed light on the causes of these enigmatic diseases. Is there any link to cancer? Cancer cells use protrusions called invadopodia to break through the extracellular matrix so that they can invade other tissues. It is plausible that Protrudin and its interactors play a role in invadopodia formation, and we are planning to investigate this. If our hypothesis is correct, this could provide us with new targets for cancer therapy. Are there other implications of the new findings? In certain specialized cell types, fusion of endosome-like organelles with the cell membrane have important physiological functions. An interesting example is cytotoxic T cells, which kill virus-infected cells and tumour cells. Protrudin is expressed at high level in such cells, so we would now like to investigate the possibility that the new mechanism we have identified might play a role in immunity. A grab to move on: ER-endosome contacts in membrane protrusion formation and neurite outgrowth. Home page of Camilla Raiborg's project group "Protein dynamics in tumor suppressor pathways"
Home page of Harald Stenmark's group "Intracellular Communication"